News outlet BuzzFeed is suing the Democratic National Committee in an effort to get it to disclose more information about how Russian hackers allegedly penetrated its email system in 2016 as part of an effort to undermine Hillary Clinton’s campaign in favor of Donald Trump, Vanity Fair reported on Tuesday. According to the Vanity Fair report, BuzzFeed believes that more information about how the DNC’s system was compromised could exonerate it in an ongoing libel suit. Russian tech executive Aleksej Gubarev is currently suing BuzzFeed for reporting elements of the Steele Dossier—that’s the same one which dragged up rumors Russian intelligence agents videotaped now-President Donald Trump at a prostitution pee-pee party in Moscow—implicated him and his Florida-based company Webzilla in the hack. Though BuzzFeed later redacted Gubarev’s name from the dossier and apologized, it looks like the site’s lawyers believe more info on the DNC hack might actually back the dossier’s version of events. In legal papers, the D.N.C. 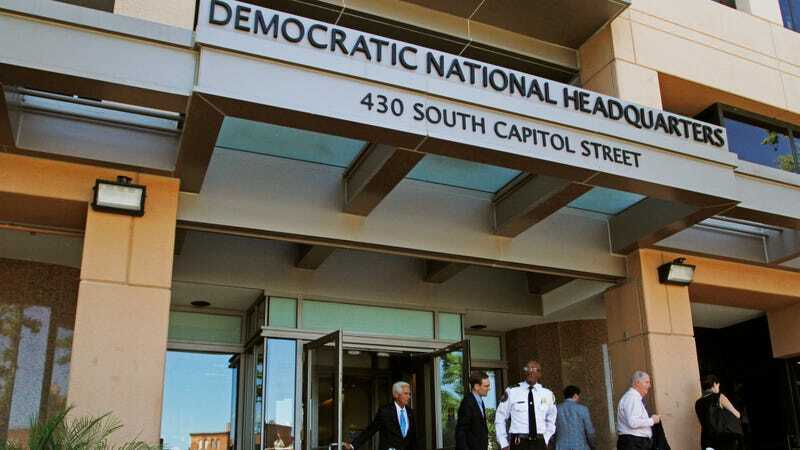 has argued that disclosing the digital signatures, supposedly left by the Russia-directed hacking organizations known as Cozy Bear and Fancy Bear, would inevitably expose details of the D.N.C.’s information systems, possibly making them more vulnerable to another hack. Per the Associated Press, the alleged Russian operation relied on classic phishing tactics, impersonating Google security to gain access to personal contact data for higher-ranking officials working on Clinton’s presidential campaign. They then emailed those higher-ups, like campaign chief John Podesta, malicious links which gave the attackers access to their accounts. Since the breach in question was the result of campaign staffers deciding to click suspicious outbound links, not really an intrinsic flaw in any server or security product, it’s not immediately apparent what possible vulnerabilities the DNC could be seeking to keep from the public eye—though a lot about the incident remains ambiguous. BuzzFeed has been trying to bolster its claims in court that the dossier was of enough public interest to justify naming Gubarev, which Vanity Fair noted has included possible Hail Marys like calling former FBI director James Comey and former Director of National Intelligence James Clapper to testify it was relevant to the ongoing investigation into Russian interference in the 2016 elections. As Foreign Policy reported on Monday, BuzzFeed sent a team of intelligence professionals across the world to try and verify elements of the dossier related to Gubarev.